Apple rice soufflé (Rýžový Nákyp) is a popular Czech Republic comfort food combining basic ingredients in a delicious, easy recipe. Apple rice soufflé showcases the hearty brilliance of basic ingredients in Czech cuisine: almonds, apples, and rice, flavored with cinnamon, lemon, and vanilla. This easy and delicious recipe is aromatic, light, and satisfying. Apple rice soufflé may be served hot or cold and works well at meals or as a snack. Apple Rice Soufflé showcases the hearty brilliance of basic ingredients in Czech cuisine. This aromatic recipe offers easy preparation and easy satisfaction. With a light, delicious taste and a nuanced medley of flavors and textures, Apple Rice Soufflé is wonderfully filling and works well at meals and as a snack. Whether served hot or cold, this comforting dish is equally tasty. 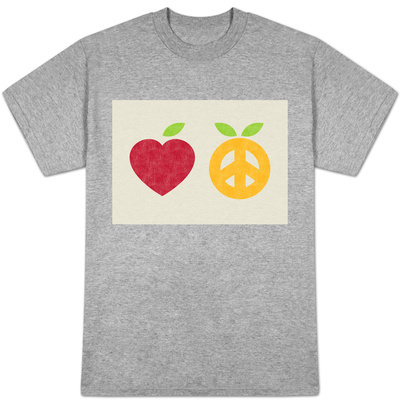 Other fruits may be substituted for apples to achieve versions which reflect seasonal harvests. A variation layers this recipe, placing the fruit in the middle. My family's recipe prefers to blend the fruit throughout the mixture. Nevertheless, layering may be done with ease, if desired. apple brandy (jablečný koňak), especially distilled in the area of Velké Losiny, nicknamed "North Moravia Fruit Chamber"
With year-round availability of apples, Apple Rice Soufflé is an engaging dessert for all seasons. My family especially enjoys celebrating the local autumnal harvest with Apple Rice Soufflés galore. From tree to table is an unforgettable culinary experience. This versatile recipe easily welcomes substitutions of seasonal fruits for apples. 1. Preheat oven to 350°F (180°C. ; Gas Mark 4). 2. In medium pan over medium heat, stir frequently while bringing milk to a boil. Add rice and cook, stirring regularly, until done, about 15 minutes. Remove from burner. Stir in lemon juice and zest. Set aside to cool. 3. In medium bowl cream butter, cinnamon, and sugar. Stir in egg yolks and beat until foamy. Lightly fold in almonds, apples, and rice. 4. In small bowl sprinkle egg whites with salt and beat until stiff peaks form. Fold 2/3 of egg whites into rice mixture and set remaining 1/3 in refrigerator to chill. 5. Pour rice mixture into greased medium soufflé dish and bake for 45 minutes. Transfer soufflé dish to stovetop or towel on counter; do not turn off oven. 6. Retrieve egg whites from fridge and beat if necessary for about 1 minute to restore stiffness. Spread evenly across top of rice mixture. Return soufflé to oven to bake until topping begins to brown, about 15 minutes. May be served immediately or set in refrigerator to chill for several hours and serve cold later. In addition to a flavor spike, cranberries -- whole or as juice or sauce -- impart a warm glow to apple soufflés. In Czechoslovakia, a country known for fine cooks, a copy of Varime Zdrave Chutne a Hospodarne graces nearly every kitchen. 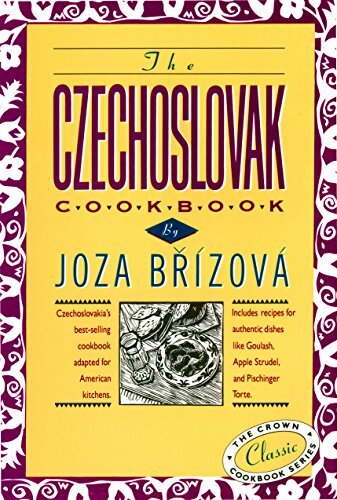 Now this best-selling Czechoslovak cookbook has been adapted for American use. VioletteRose, Yes, this soufflé is delicious -- I especially enjoy making it in the autumn with freshly harvested apples. I'm glad that you appreciate the Czech comfort food recipes I'm sharing -- they've been long treasured by family and friends. 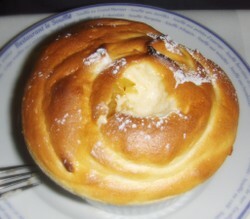 Apple rice souffle looks delicious, love the Czech Republic comfort food recipes that you are sharing. Canned apple pie filling makes quick deserts other than pies. Mixed with simple cake-making ingredients and dumped into a baking pan, it helps make a quick apple cake.